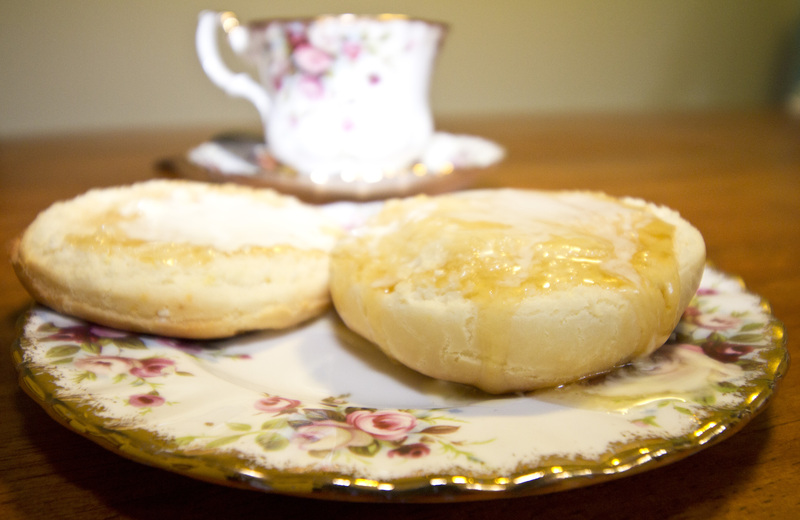 Scones have been a popular snack to have with a cup of tea. Originally known as quick bread in Scotland, it became part of the afternoon tea tradition in England and extended to other countries. 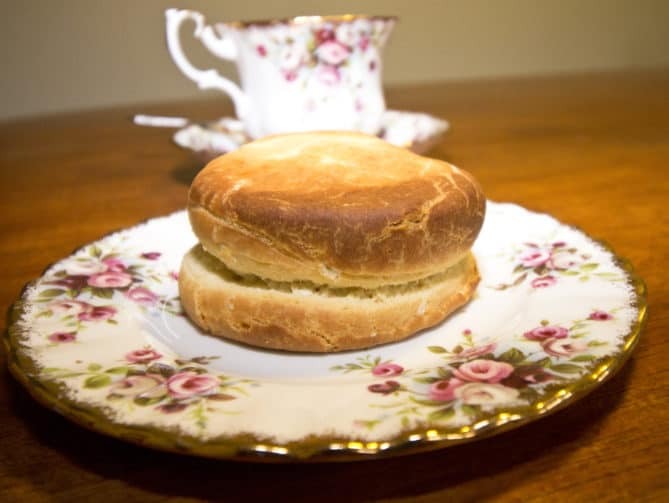 Scones became popular when one afternoon Anna, the Duchess of Bedfords (1788-1861), servants brought some sweets and bread including scones, and she was delighted by them. My mother in law lived in the country for long time, and as a country woman she used to cook everything to feed her family. Within her recipes were scones, which was like a tradition in her family. My husband told me how much he enjoyed having scones with black tea with his dad in a winter afternoon, while they were working on the cattle station. These were nice memories for my hubby from his time growing in the bush. Mums usually know their kids who-ever they are, and my mother in law is not an exception so she wrote a scone recipe for her son to prepare. I made the scones lactose free, as I am intolerance to gluten and lactose, so I followed the original recipe, but I did a few changes to suit my diet and healthy lifestyle. We really enjoyed the gluten free scones and I want you have a healthy snack for cold weather or for any day really. Gluten free scones recipe is easy and quick to make. The first step is to put your favourite music on, before you start to bake the gluten free scones, that way it’s really relaxing to cook. Then preheat the oven at 150 degrees. In a bowl, mix the gluten free flour, protein powder, bicarbonate of soda, baking powder and pinch of salt. I mixed with my wooden spoon that my father made for me. In a separate bowl, put the thickened cream, coconut oil and the honey, and with the mixer combined them until they all become one texture. Put the dry ingredients into the mixture and mix slowly until it becomes a dough. If you find it very dry, add the lactose free milk to moisturize the dough to the point than the dough doesn’t stick in the mixture and becomes easy to work with. Get a baking tray and spray it with olive oil or cover it with baking paper. I usually do the last option, as I like cooking with as little oil as possible. Then get the dough, put it on the bench (I through some flour on the bench before hand to prevent the dough sticking on the bench) and roll the dough to get a measure of two centimetres thick. To get the shape of the gluten free scones I got a glass and greased it around the rim with coconut oil to make easy get every scone. Just push it into the rolled mixture, to cut out each scone. Tip: When you put the glass into the dough, don’t twist it around. The reason for this is, it makes the gluten free scone mixture tough when cooked. Just put the glass into the dough to get the shape and place the scones on the tray. Now, we have all the gluten free scone’s cut, put all of the them on the tray, with one and a half centimetre’s between each scone, and place the tray into the oven for 10 mins at 150 degrees. Then turn the oven to 100 degrees, and leave the scones baking for 10 more minutes. I usually check one of the scones with a knife before taking them out of the oven to be sure if they are cooked properly. And finally, get your gluten free scone, cut it in the middle put a spoon of honey and thickened cream, and enjoy them with a cup of tea or coffee. I have them with cup of ginger tea. I hope you enjoy cooking gluten free scones with protein and sharing them with your family or friends, or why not with yourself and the music?